If you are looking for a romantic getaway or a day trip with your family, these trip ideas in VA will help you plan the perfect getaway for any type of occasion. Let us help you plan the trip that you need. There are many different things to see in the state of Virginia. 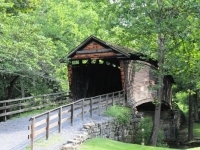 We have listed great day trips in Virginia for families as well as just adults. See our list of the most fun Virginia day trips.